Hey polish pals! 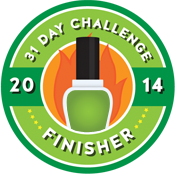 How is everyone keeping up with the 31 Day Challenge? I'm loving how much it's pushing my creativity and skills - plus I can see how far I've come (and how far I have to go!) with my nail art. 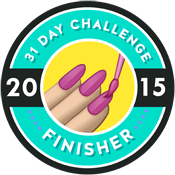 This is my first (and so far, only) big disappointment for the challenge. I attempted some molton silver nails with OPI Push and Shove and it looked great! Until it dried - the end result was thin and boring and I didn't want to just take a photo of super wet nails and call it nail art. So colour blocking with Push and Shove and China Glaze Thistle Do Nicely was what I ended up with. Not that it's a bad mani, just not what I had in mind. I think I redeemed myself with these tie-dyed rainbow nails. I took a fan brush and messily applied a rainbow of colour, trying to create the visibly rough boundaries. 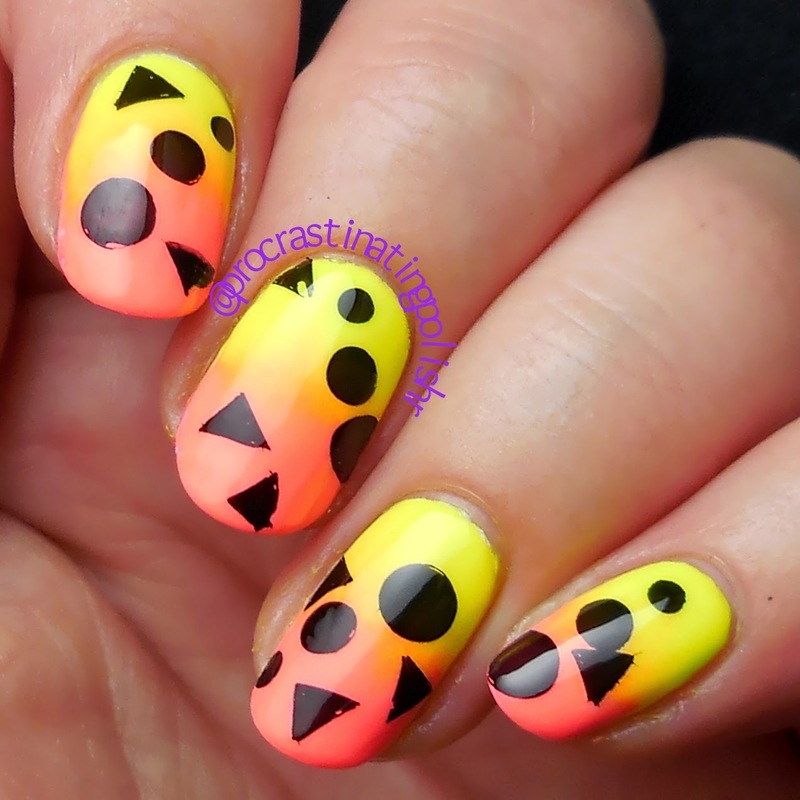 I felt like keeping the brightness up after the rainbow nails so went for a neon gradient. I used Miss Ashleigh And It Was All Yellow and China Glaze Thistle Do Nicely - probably because they were still sitting on my mani table after earlier in the week. They worked perfectly together and blended beautifully. Because apparently I can't leave well enough alone I added some stamping. 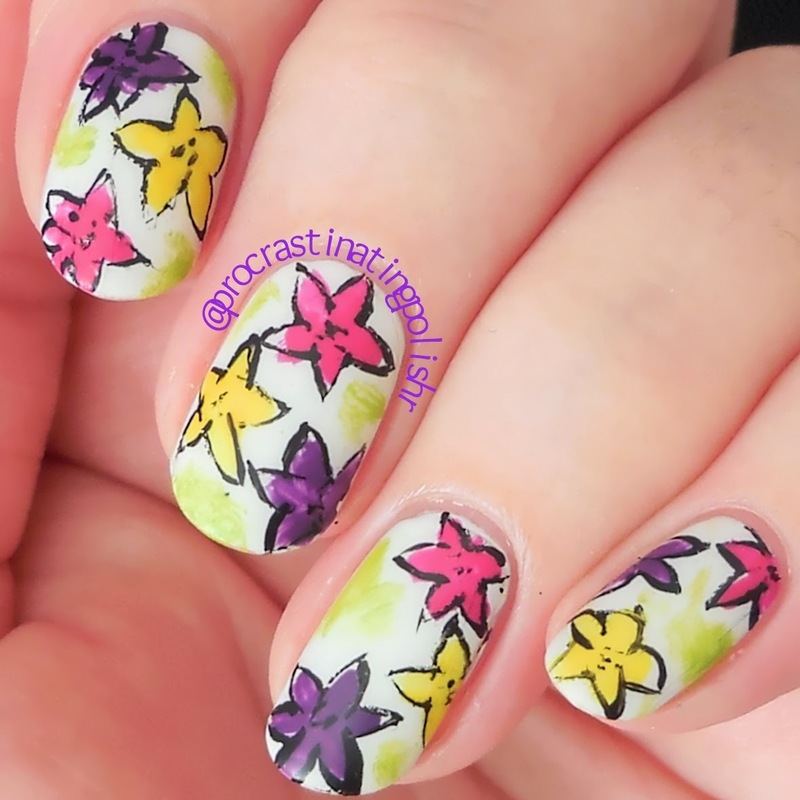 I've got the stamping bug it seems! The shapes were from Emily de Molly plate EDM03 - the dots are lined up on the plate as you see them, but the triangles were just to fill in space where I felt like it. Another look I was thrilled with. Figured it was time to tone it down again and went with a few untrieds all in one go. Base of Ulta3 Radiant Orchid, dotted with Ulta3 Black Satin and Lily White (obviously those are not untried) and Powder Perfect Peeling Wallpaper. All done with my smallest dotting tool. The accent is Emily de Molly Dead and Dreaming, which is at least forty times more incredible than it looks here in a lightbox. I'll eventually swatch and photograph it properly and give it the time it deserves but I just needed it on my fingers immediately. 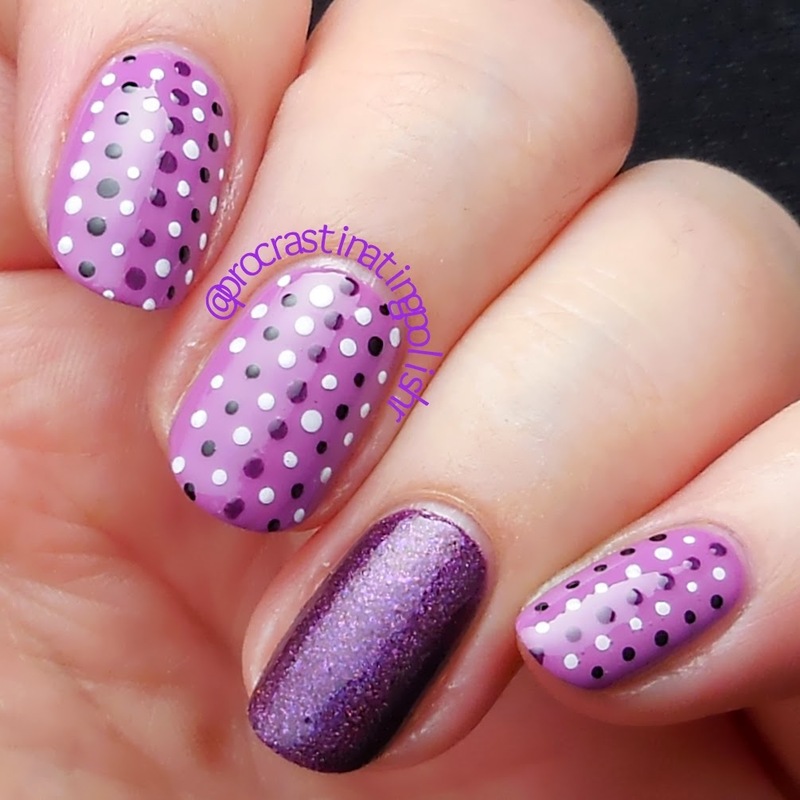 This is a look I've done before and loved - not to mention it's super simple and sometimes when you're doing nail art at least once a day you need to keep it simple. I stuck with untrieds again - Ulta3 Lacy Daisy and Moody Blues and China Glaze Recycle. I am so glad this one fell on a Saturday! 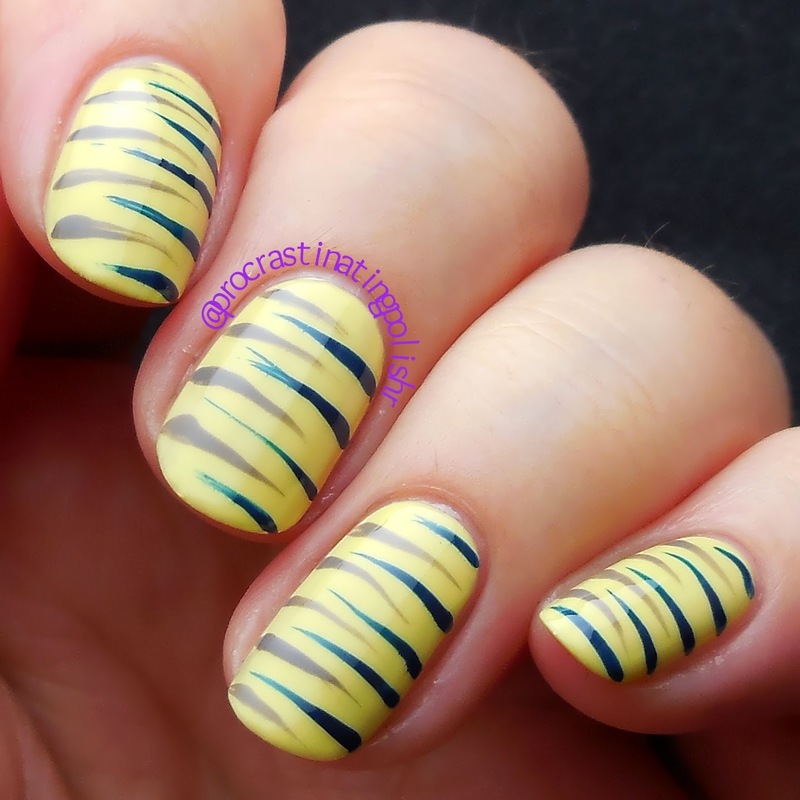 I had my heart set on a giraffe print blobbicure, but I could not get my yellows and browns to play nicely. I tried at least 6 times with a couple different combinations but no dice. Green to the rescue! 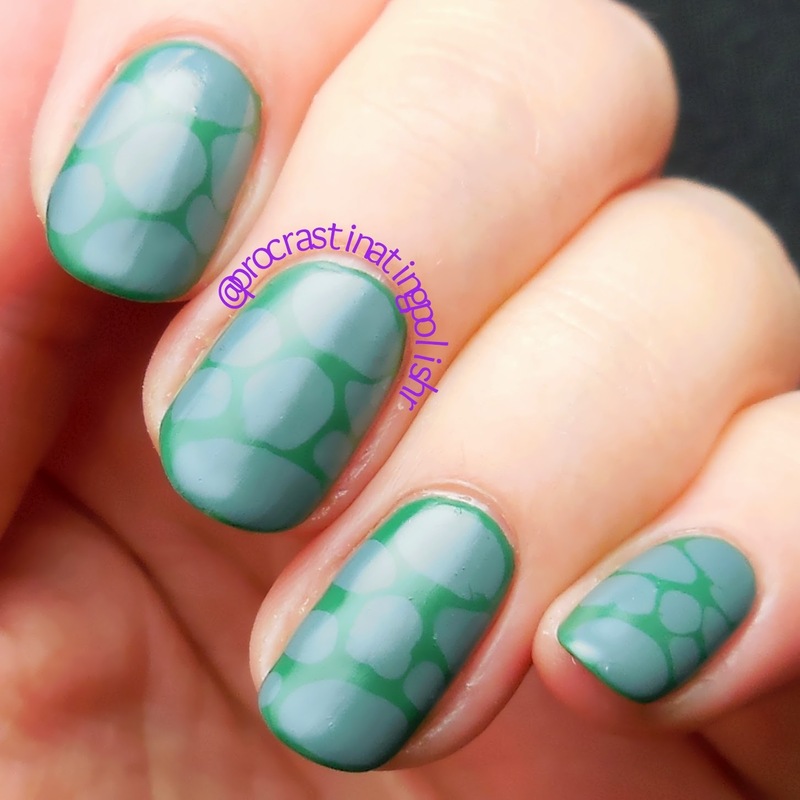 My turtle shell brainwave saved me from a day of frustration and it even worked first time on all four nails! Yes four. Like hell if I'm doing this one on ten fingers! Flowers are a thing that I just do not do. I'm really not a floral kind of girl. I do however like them on others - especially the uber talented Meghan of Will Paint Nails for Food. Her nail art is often very painterly and full of soft brushstroke line work that I really like. 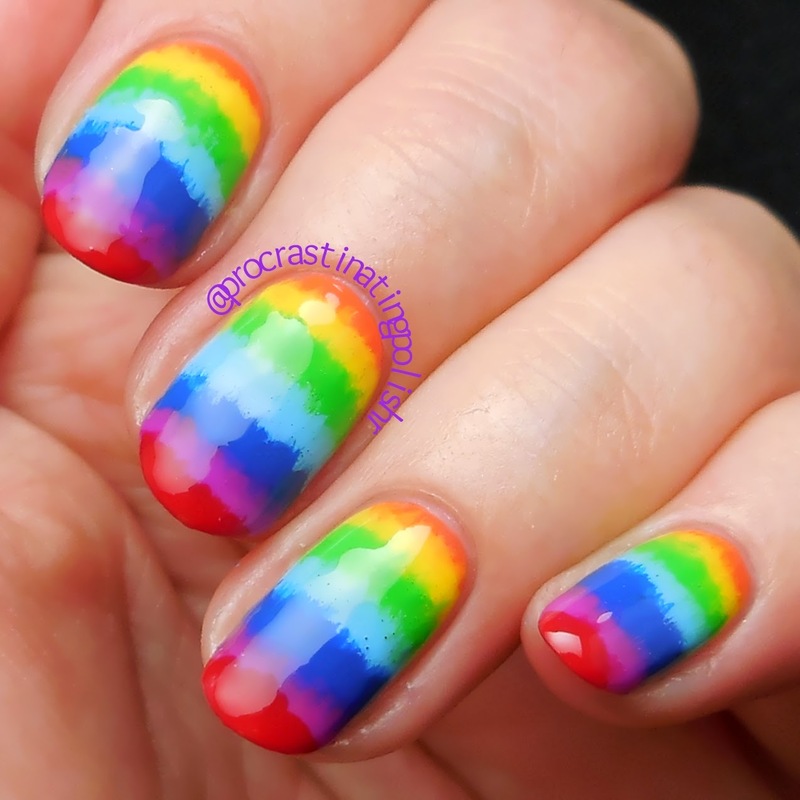 I took a very large dose of inspiration from some of her past manis and came up with this look. For flowers, I totally adore it. Not something I'd wear often, but something I think I could confidently pull off again. I would absolutely declare this second week a success! There have been some late night scrambles to get some nail finished but all told I'm more than keeping up.